Wake Foot Sanctuary Announces First Franchise In Greenville, SC. MAY 29, 2018 — Wake Foot Sanctuary is thrilled to announce its first franchise opening in Greenville, SC later this year. 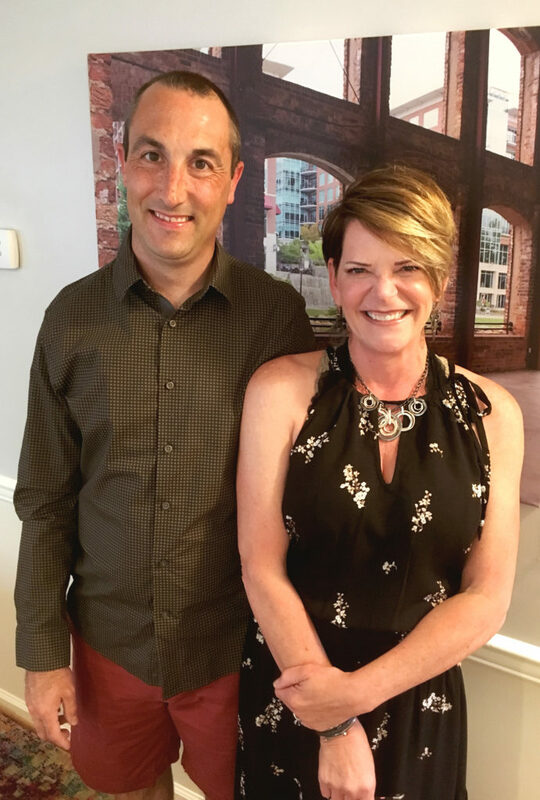 Chris Fetter, along with her husband Tad Heineman, are excited to be the first candidates awarded a franchise after Wake launched franchise sales last year. Chris and Tad relocated to the Upstate in 2017. They brought along their shepadoodles, Lucy and Fred. “Greenville is very vibrant and young. It’s up-and-coming but still has old southern charm. The neighborhoods! The people are super friendly,” Chris said. The strong leadership culture coupled with the desire to serve guests are what attracted Chris and Tad to franchising with Wake. Tad Heineman and Chris Fetter, the couple awarded the first Wake Foot Sanctuary franchise slated to open later this year. For more information about franchising with Wake Foot Sanctuary, please contact: Lindsey Kugler at lindsey@wakespa.com or at (828) 767-0722. You can also visit www.wakespa.com .